SINGAPORE (Oct 14): Keppel Land is expanding the SM-KL project, its mixed-use development in Manila, the Philippines, through its Phase Two of construction. Phase Two comprises the building of a 42-storey office building and an extension of The Podium, an existing five-storey retail mall in the Ortigas central business district (CBD). The total construction cost for Phase Two is $336 million. Keppel Land says the development of Phase Two is in tandem with its strategy to recycle capital and further expand its commercial portfolio. The expansion follows Keppel Land’s earlier announcement this month on developing a 37-storey office tower in Saigon Centre Phase Two, another mixed-use development in Ho Chi Minh City, Vietnam. The SM-KL project is jointly developed by Keppel Land, through Keppel Philippine Properties, and Banco de Oro (BDO), the banking arm of the SM Group. Keppel Philippine Properties holds a 40% stake in the project. To be completed in 2019, the new office tower will offer a net leasable area (NLA) of over 89,000 sqm of premium grade office space and will be sited above the retail mall. The expansion of the retail mall will add over 34,000 sqm of retail space, bringing the total retail NLA to over 50,000 sqm when completed in 2016. Phase One of the project comprises The Podium and an office tower which will house the operations of BDO. The office tower, also 42-storey tall on top of The Podium, will offer about 70,000 sqm of NLA when completed in 2015. The Podium is currently about 90% leased to leading brands including Philip Stein, Diamant, Calvin Klein, Topshop, Dorothy Perkins and Nike. 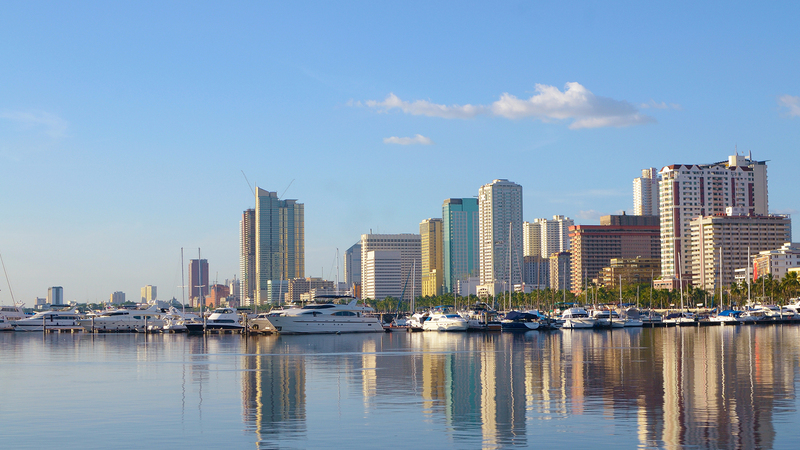 The office sector in the Philippines maintained its strong growth in 2014 with increasing demand for BPO space in the CBD as well as multinational corporations expanding their operations in the country. According to Colliers International’s second quarter 2014 market report, supply of prime Grade A office buildings in Ortigas is limited. Rental rates for Grade A buildings increased 5% during the past 12 months on average to $20 psm per month in the first quarter of 2014.